Contact Viverae to schedule your Wellness Screening at 1-888-848-3723 or by logging into the SimplyWell portal. View the 2018-2019 Wellness Screening Schedule. 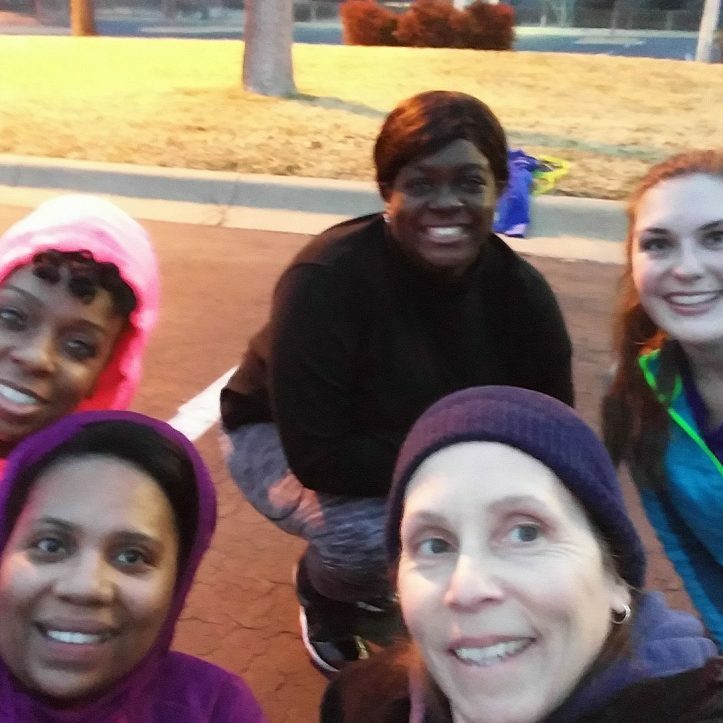 Do employees have to be a part of the wellness program to participate in the screening? No they do not, they will not be able to “schedule” an appointment but can be seen as a walk in. Do you have to have district medical insurance to participate in the program? If an employee did a screening earlier this year do they have to do one again? Yes, any screenings completed prior to September 1 were allocated to the previous plan year. 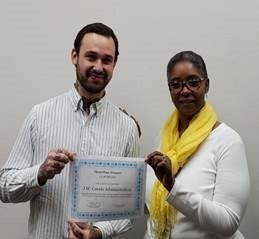 Employees have from 9/1/17-8/31/18 to meet the requirements of the program. What if I am unable to go to the screening, will there be another opportunity to participate? 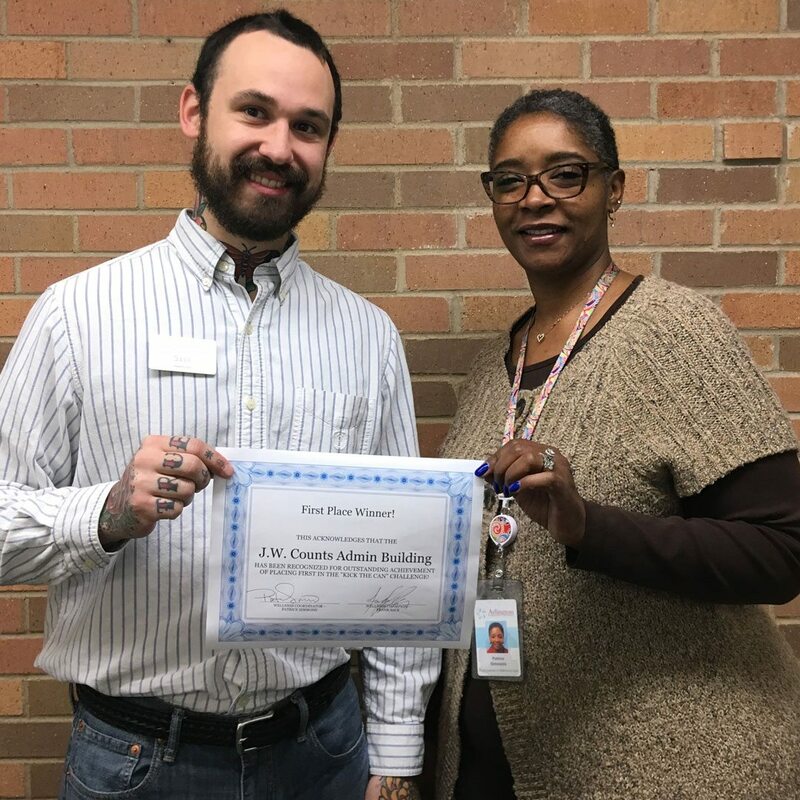 The screenings are done at campuses twice a year (fall and spring), they are intended to be a convenient option for employees but will unfortunately not be able to accommodate all employees with their varying schedules. 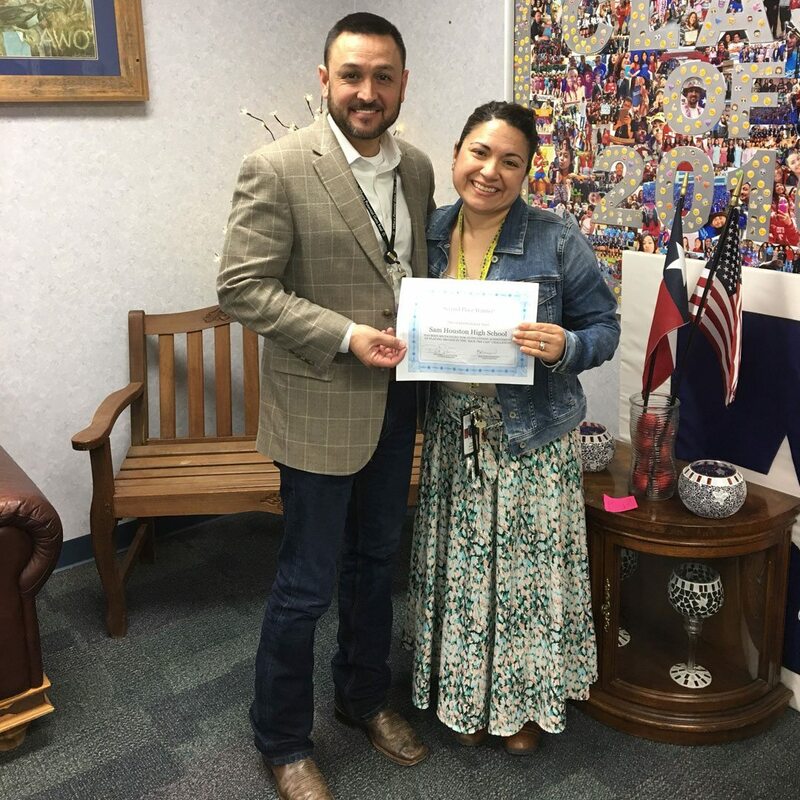 Employees can go to any location to complete their screening, go to LabCorp, or go to their regular PCP to get the physician’s form completed. Some locations have time slots that do not end until 7:00 pm and some that start as early as 7:30 am. How do I get the physician’s form? Download the Physician’s Form or view instructions to schedule a biometric screening. What is the identifier number? 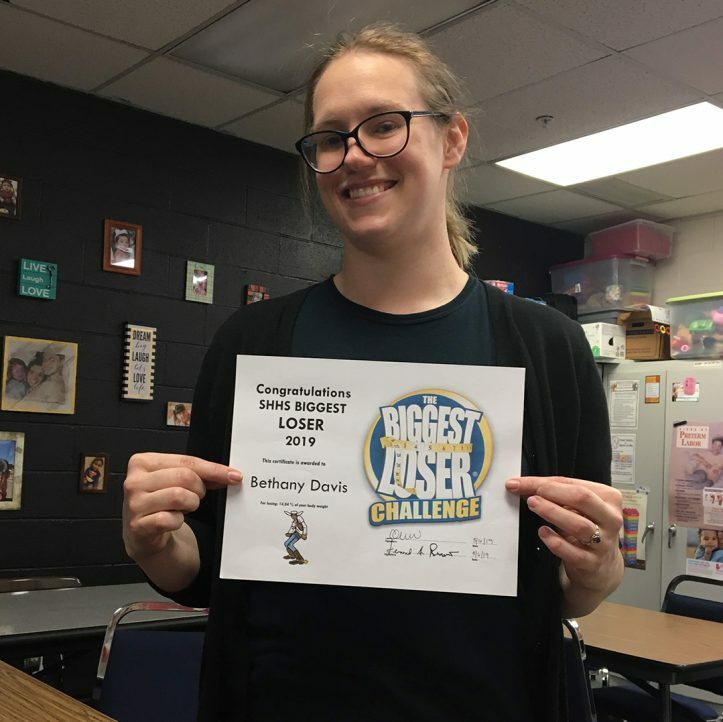 Sam Houston’s Biggest Loser Weight Loss Challenge Winner, Bethany Davis. 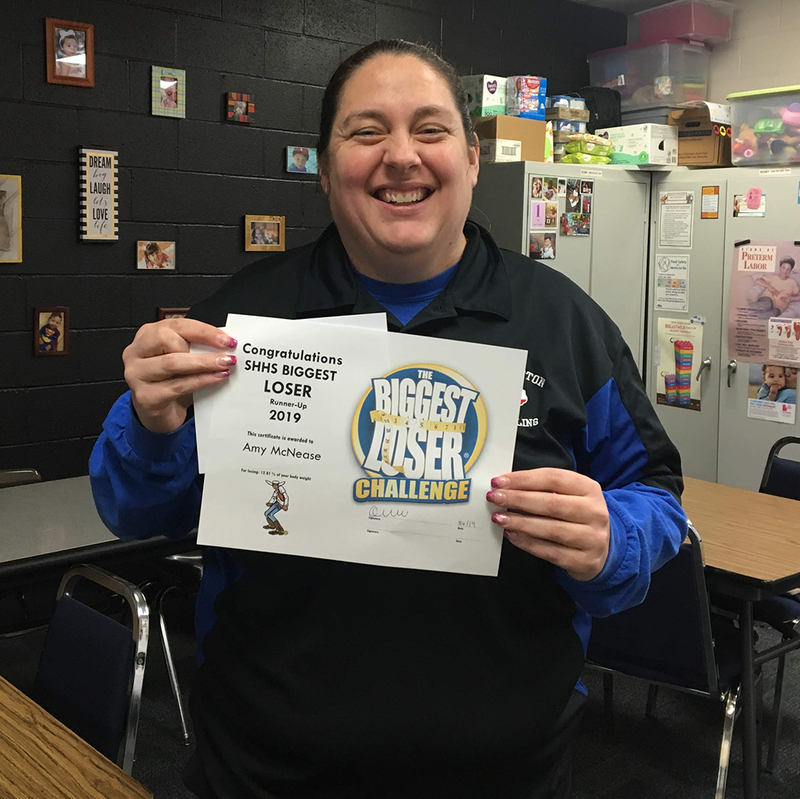 Taking second place in Sam Houston’s Biggest Loser Weight Loss Challenge is Amy McNease. Coming in third in Sam Houston’s Biggest Loser Weight Loss Challenge is Chris Rogers. 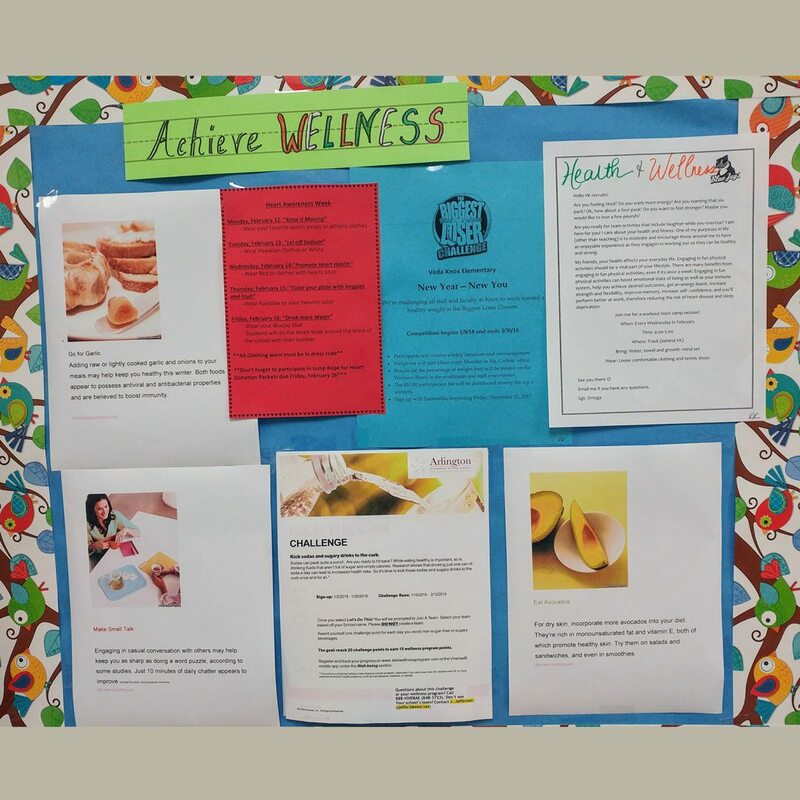 Promoting health and wellness at Starrett Elementary with a wellness bulletin board! Mr. Jones, Principal, and front office staff Kick the Can and say YES to drinking more water as a part of our #MooreHealth campaign. Sam Houston's faculty relieves stress and has fun getting fit with Zumba every Tuesdays and Thursdays after school! 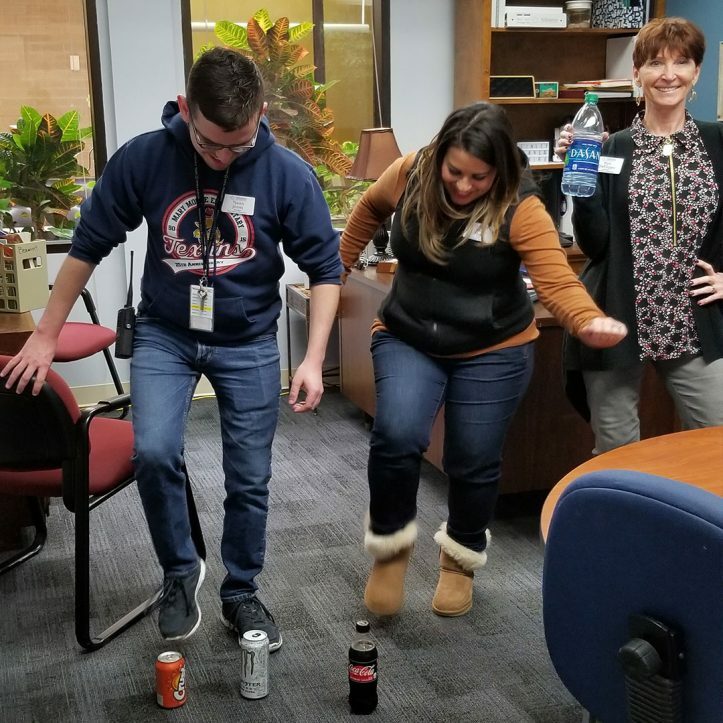 The Administration team wins the first employer challenge; Kick the Can! 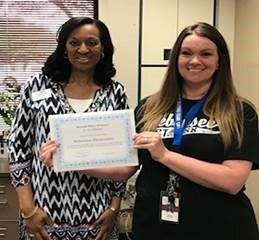 Sam Houston High School took 2nd place in the Kick the Can Employer Challenge! Security took 3rd place in the Kick the Can Employer Challenge! 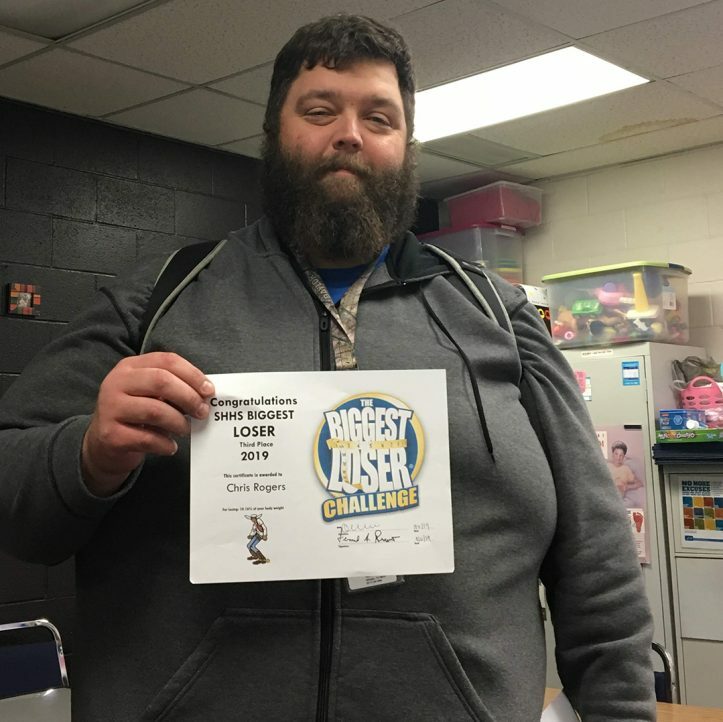 Sam Houston High School had a total weight loss of 283 pounds by 26 participants in their Biggest Loser Competition! Camp Gladiator at Fielder Church. Jennifer Swofford is the trainer. 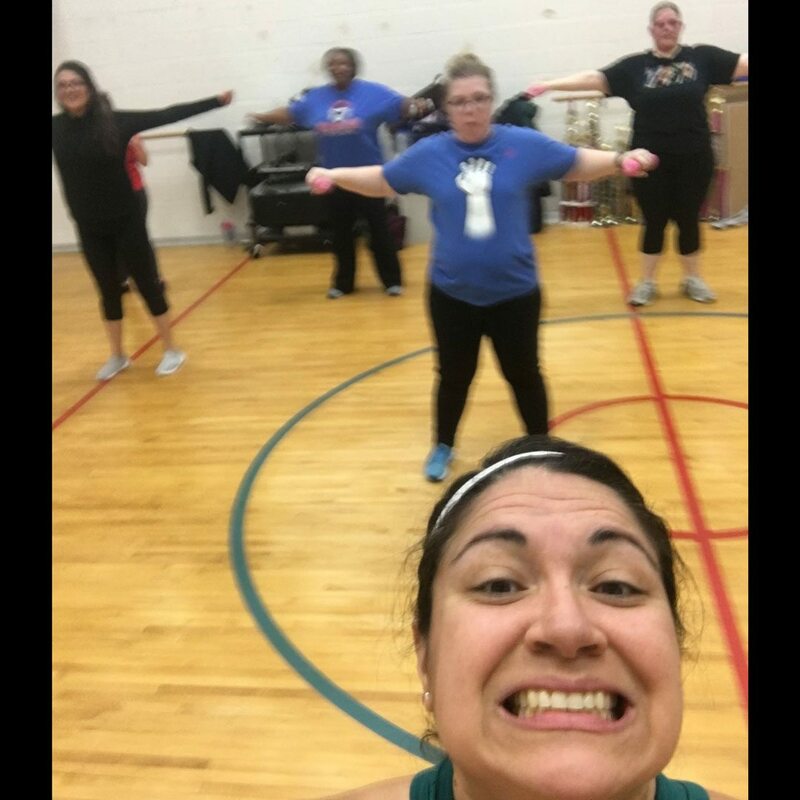 Class is on Tuesday/Thursday at 5:30 pm. 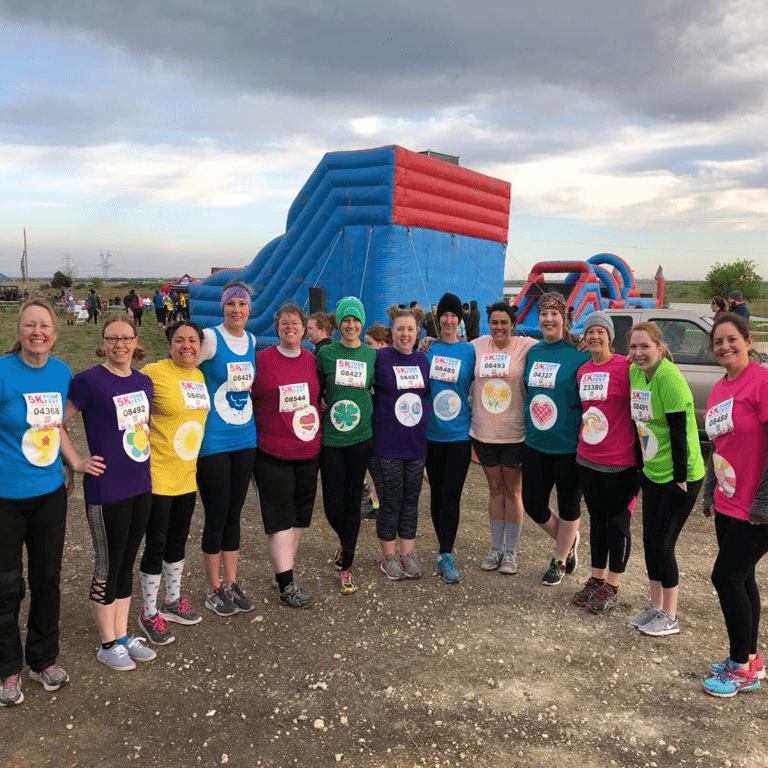 This weekend, 11 of our staff members completed a 5K like no other-with 21 obstacles included!! 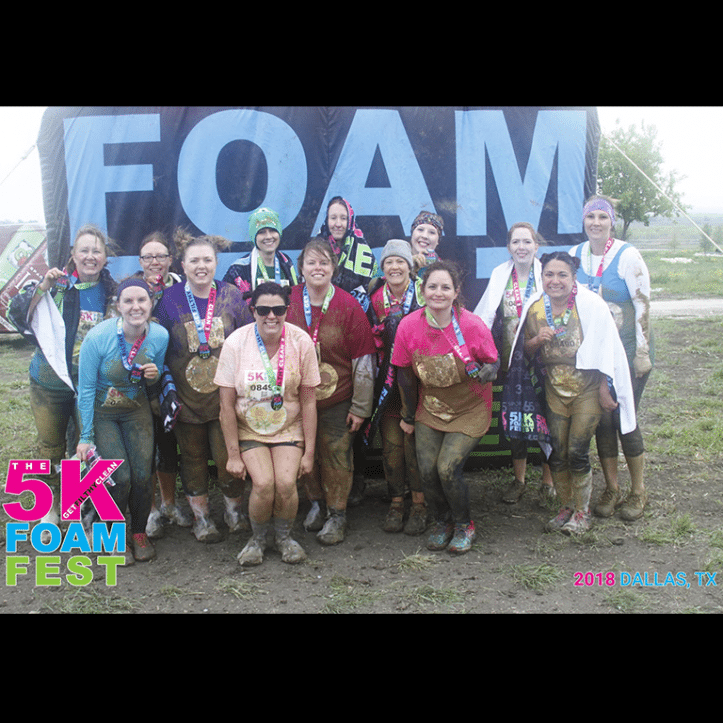 There was definitely more mud than FOAM!! 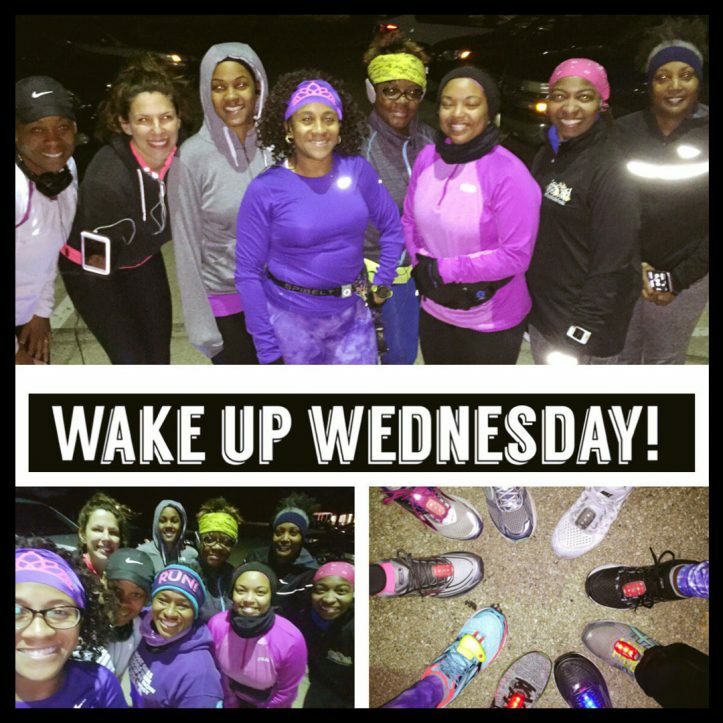 Carter staff starting their Wednesday's in the park at 5 AM! 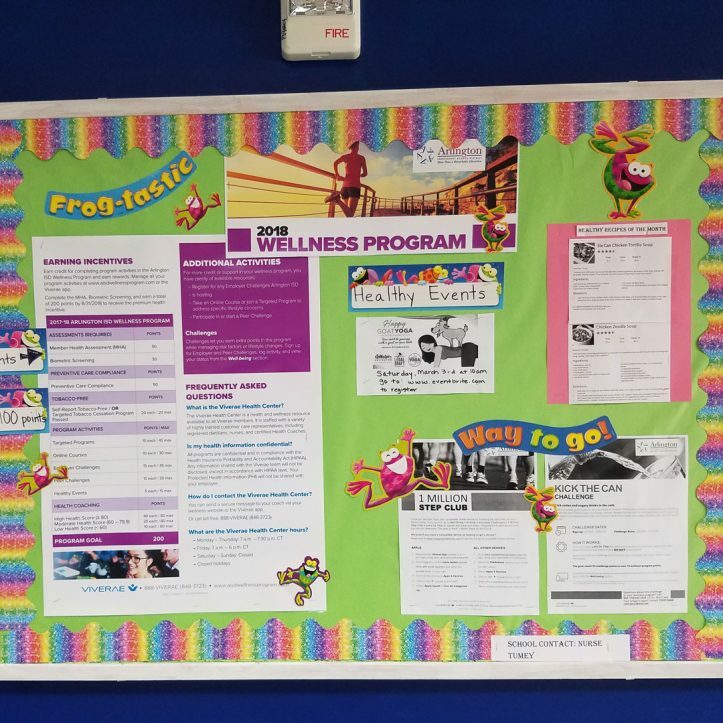 Promoting activities and events at Knox Elementary in the name of health and wellness. 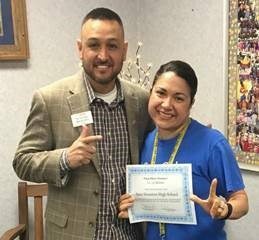 Sam Houston High School takes first place in the employer challenge; On the Move! Bebensee Elementary takes second place in the employer challenge; On the Move! 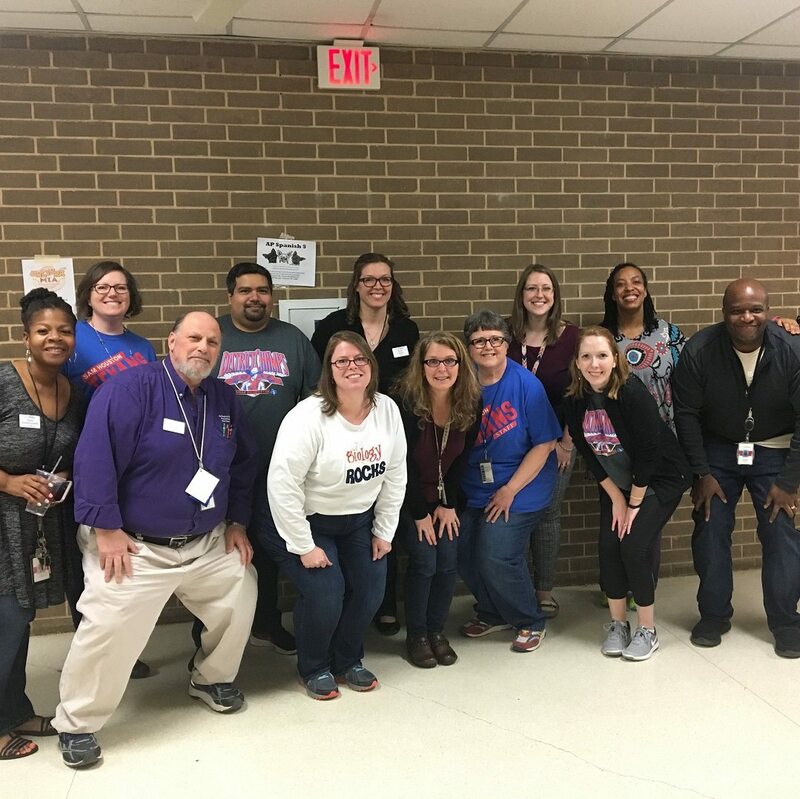 The Administration team takes third place in the employer challenge; On the Move!